Riding your bike is a great way to get some fresh air and exercise. Riding your bike in Washington is a commendable way to save on gas and to stay healthy. Unfortunately, it can also be dangerous especially, when proper safety precautions are not taken. Bike accident injuries and fatalities are becoming a common occurrence in the United States. Understanding the dangers of bike riding may help prevent unnecessary accidents. If you are involved in a biking accident, please contact The Bernard Law Group to review your legal rights and options. Injured bicycle accident victims can seek compensation to cover medical expenses, loss of earnings, pain and suffering and even cost of continued treatment or long-term care. 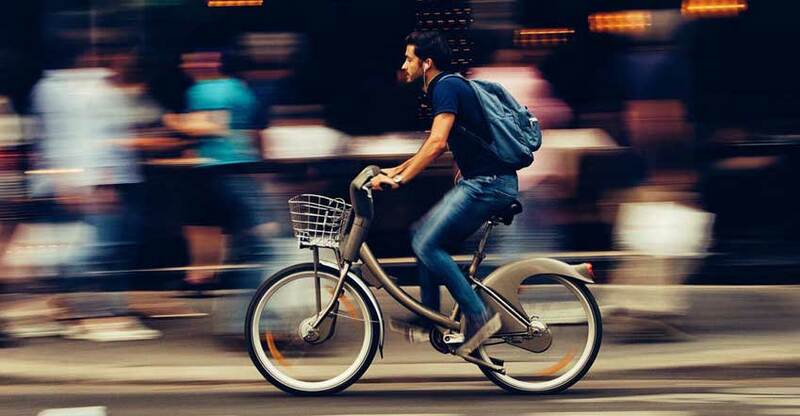 It is important to examine bicycle accident statistics in the United States and Washington State in order to comprehend why these crashes occur and how they can be prevented. The good news is that Washington is considered a relatively safe state to ride your bike. In 2007, Washington was listed 11th as the state with the least number of bicycle accident fatalities. Seven fatalities occurred as a result of bicycle accidents in Washington that year. Where are the most common areas in Washington for a fatal bicycle accident to happen? Intersections continue to be dangerous areas for bicyclists. According to available numbers, 25 percent of all fatal bicycle accidents occurred when the cyclist was trying to cross a roadway. Car drivers may not see the cyclist or they may have ignored the right-of-way laws at the time of a collision. Drivers who are negligent and cause bicycle accidents should definitely be held accountable for the damage they do. Washington provides considerable assistance to help eliminate bicycle accidents. Just between the years 2007 and 2009, Washington spent $18 million on bicycle safety programs. There is still work to be done. Many cyclists still do not know that they should ride with traffic and not against it. More than 25 percent of fatal bike accidents happen when riders are going against traffic. Cars may not be looking for bicyclists riding toward them. There are about 700 deaths a year in the United States as a result of bicycle accidents. For example, there were 698 bicycle accident fatalities in 2007 and 716 in 2008. There are about 45,000 personal injuries each year as a result of bicycle accidents as well. The average age of bicyclist killed in the United States is 41 and the average age of bicyclists injured is 31. Alcohol was involved in 37 percent of all bicycling deaths in 2008. Riders, typically, do not have any additional protection afforded by their vehicles, poss00ibly, contributing to a 4.5 times greater chance of them getting hurt in an accident, compared to motor vehicle drivers. One important statistic to consider is fatalities at night. Most bike riders ride in the day time and yet 40 percent of bicycle accident deaths occur in the evening. Limited visibility is a huge factor in serious bicycle accidents. While not all bike accidents can be prevented, increasing your visibility can greatly reduce your chances of being hit. Be sure to use a light and reflectors at night. Also, consider wearing a reflective vest when riding at night. One in 20 cyclists are injured every year. Make sure you do your part to decrease the odds of becoming a statistic. For three decades, the Bernard Law Group has served Seattle and Washington State. We protect the rights of bicycle riders and make sure that whoever is at fault for a bicycle accident is held accountable. Call us today for a free and comprehensive consultation at 1-800-418-8282.